The approach of Valentine’s Day and the recent announcement by Jeff Bezos, founder of Amazon, that he and his wife are ending their marriage after 25 years, set me thinking about how divorce impacts a person’s estate plan (especially in high net worth couples). 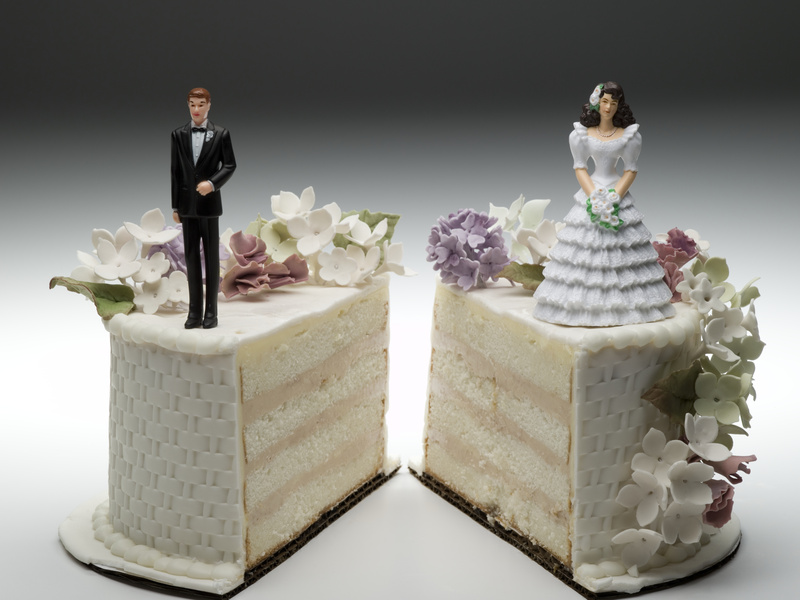 Here are five ways that divorce can impact an estate plan and actions that should be taken to address that impact on your legacy planning. Update your Beneficiary Designations. One of the first things people think about when they split up with their spouse is that they need to change their Will to remove their soon-to-be ex-spouse as a beneficiary of their Will. What is sometimes overlooked is updating beneficiary designations on assets such as retirement accounts, life insurance policies and annuities. While Massachusetts has a statute (MGL c 190B § 2-804) which provides that a divorce revokes a beneficial designation made in favor of a former spouse unless the designation was made pursuant to the divorce, the law also states that if a financial company is not properly notified of the divorce and it makes a distribution to the former spouse then the company cannot be held liable. Keep in mind that changes to assets, including beneficiary designations, may not be permissible while a divorce is pending but should be addressed as soon as the divorce is final. Avoid Probate to Avoid Prying. Probate is a public proceeding. One of the requirements of probate is that notice of the filing be published in a newspaper local to the town in which the decedent lived at the time of death. The purpose of this notice is to alert anyone who wants to make a claim against the estate that they have a limited amount of time to do so. It is also an invitation to the nosy to snoop or to the vindictive to cause trouble. Sadly, when love goes bad vengeance can be a byproduct. Wreaking havoc with a probate estate is not that hard. Even if a claimant does not have a valid claim, the prospect of prolonged delay and costs can motivate the Personal Representative of the estate to offer something in settlement. However, if there is no need to file for probate this can be avoided. When no probate is needed there is no publication in the local newspaper and there is no matter pending in the probate court for someone to meddle with. Follow through on Deed Changes. When a married couple divorces the disposition of their jointly owned real estate is determined as part of the divorce. Sometimes the property is sold, but often the property will be retained by one of the parties. Although a divorce will sever a tenancy by entirety and a divorce agreement, or order of the court on file in the probate court will determine the title, it is still advisable to actually have a new deed signed conveying the property into the name of the spouse who is retaining it. It is surprising to me how often divorced clients do not take this last step. Good estate planning advice is that no matter how sick and tired you are of dealing with your soon to be ex-spouse, don’t walk away until the i’s are dotted and the t’s’ are crossed and that new deed putting the house in your name is signed and filed with the Registry of Deeds. Create a Trust for Minor Children. Even though your Ex is no longer your spouse, he or she is still the parent of your children. In the event you die while you have a minor child, your former spouse is likely to have custody of the children. In addition, your former spouse will have control over your minor child’s assets. That means if you die without a Will, or if you have a Will leaving your estate to your children, it will be your ex-spouse who will have control and custody of your assets that pass to your children until they turn 18. The same is true if you name minor children as the beneficiaries of your life insurance and retirement accounts – those assets will be in the control of your former spouse. If this alarms you, speak with a Wills and Trusts lawyer, and create a Trust that leaves your assets to your children via your Trust in which you will designate someone other than your ex-spouse to manage the assets for your children. Update your Power of Attorney and Health Care Proxy. Powers of Attorney and Health Care Proxies are legal documents in which the maker of the document appoints another person to manage financial affairs and make health care decisions in the event the maker is incapacitated. Most married couples appoint each other to these roles. However, most people would not want an ex-spouse managing their finances or making nursing home or health care decisions for them. Even though Massachusetts law automatically revokes those appointments upon divorce, it is prudent to retrieve all copies of those documents that your former spouse, your physician, or a financial institution may possess and to revoke the documents. Create a new Power of Attorney and Health Care Proxy naming people who you want to assume these roles in the event it is necessary. With apologies to the J. Geils Band, just because Love Stinks while you’re in the midst of a divorce, your estate plan doesn’t have to. If you are recently divorced, contact an experienced estate planning attorney to create or update your estate plan so that the people you care about don’t have to suffer the effects of your divorce again should you fall ill or pass away.